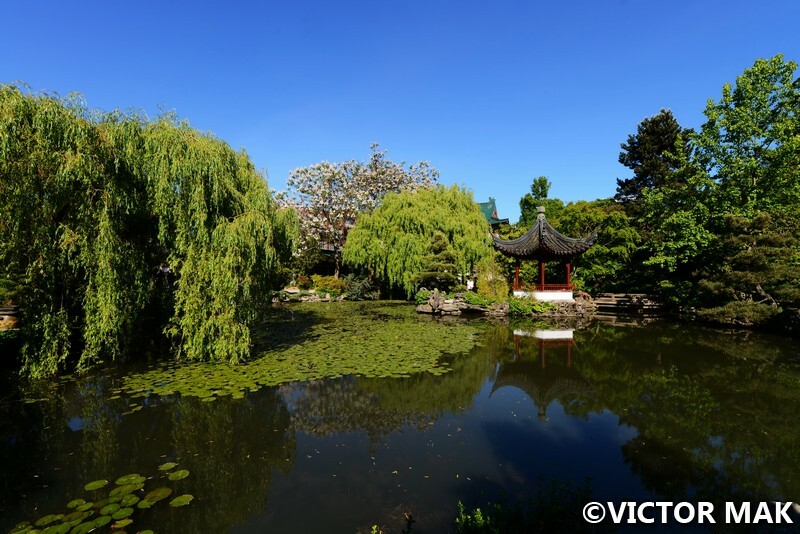 Dr. Sun Yat-Sen Classical Chinese Garden is a good example of gardening traditions from the Ming Dynasty (1368-1644). 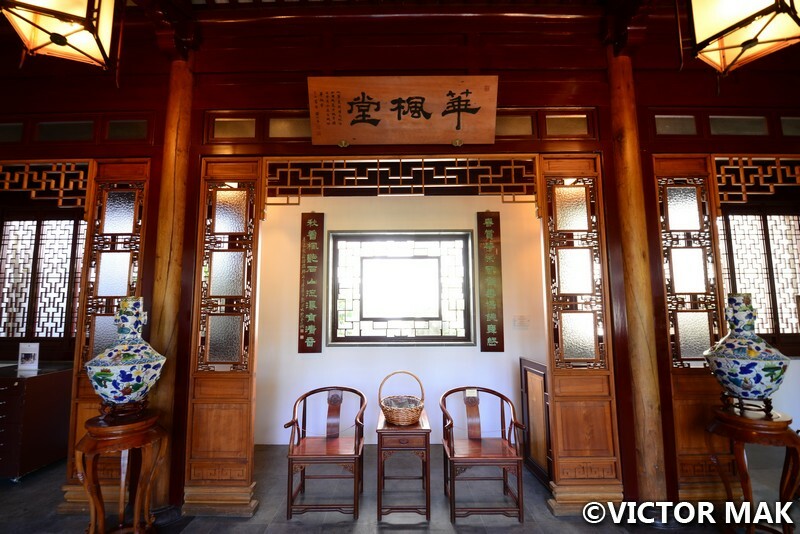 It’s a representation of a Ming scholar’s residence. 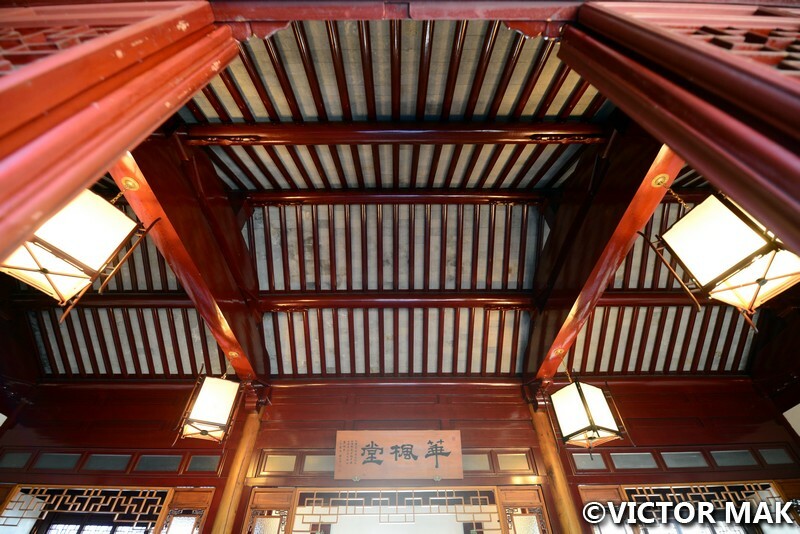 It’s located at 578 Carrall Street in Vancouver’s Chinatown in British Colombia. 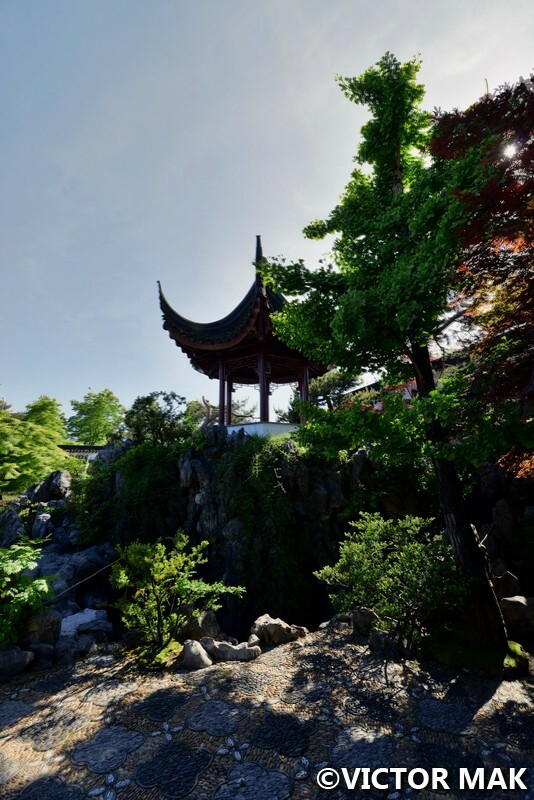 The garden was built in 1985–1986 to bridge and build the understanding of Chinese and Western cultures. The Canadian government, Chinese government, and the local Chinese community provided funding for the project. 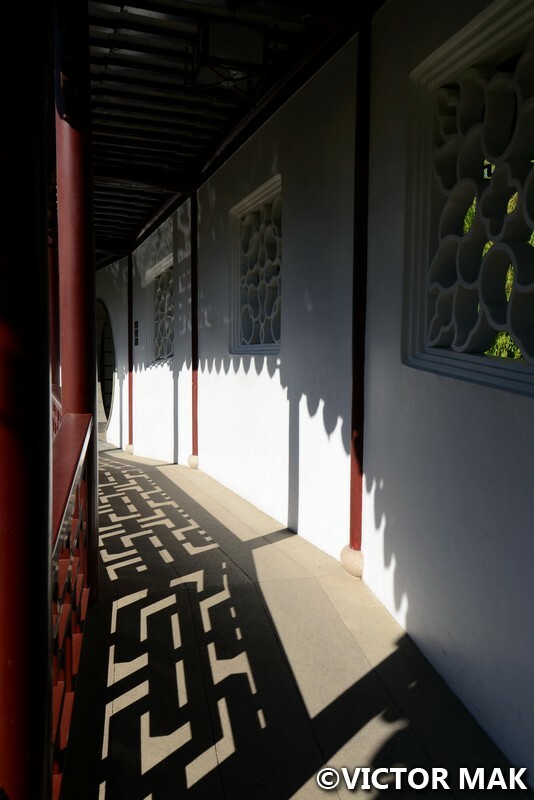 Wang Zu-Xin designed the inner garden and was the main architect with help from experts from the Landscape Architecture Company of Suzhou, China. The outer area of the park was designed by Joe Wai and Donald Vaughn. There are two parts to the Chinese garden; one is paid admission to the Classical Chinese Garden built using original Ming Dynasty techniques of no nails, screws and glue and the other part is the free public garden built using modern techniques but fashioned to look like the Classical Chinese Garden. You can walk back and forth if you have a ticket. 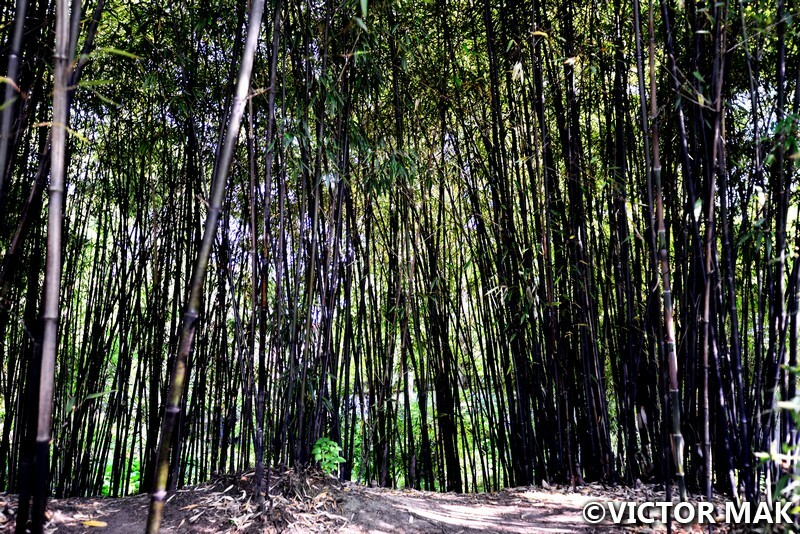 The climate of Vancouver is similar to the climate of Suzhou, China and many of the same plants can be found. 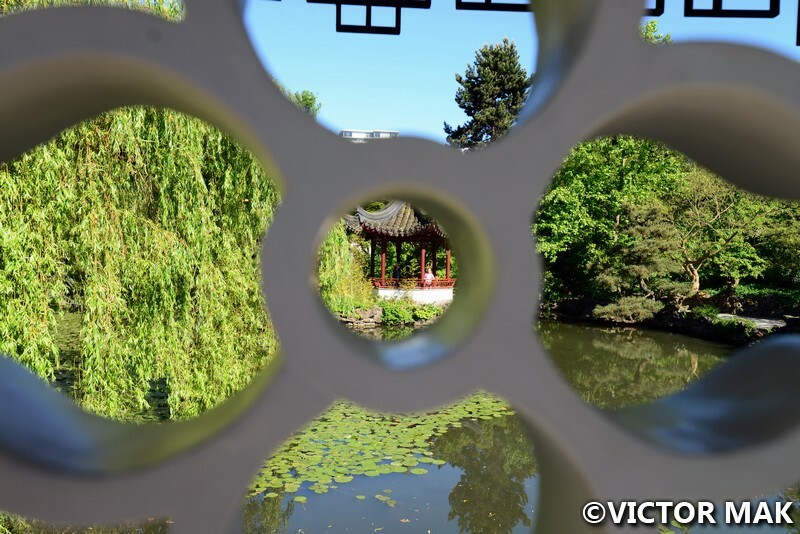 This was cool, we have never been to a Chinese Garden till Vancouver. Too bad some parts of it were under renovation during our stay. It was nice learning about Chinese history which I don’t know much about. 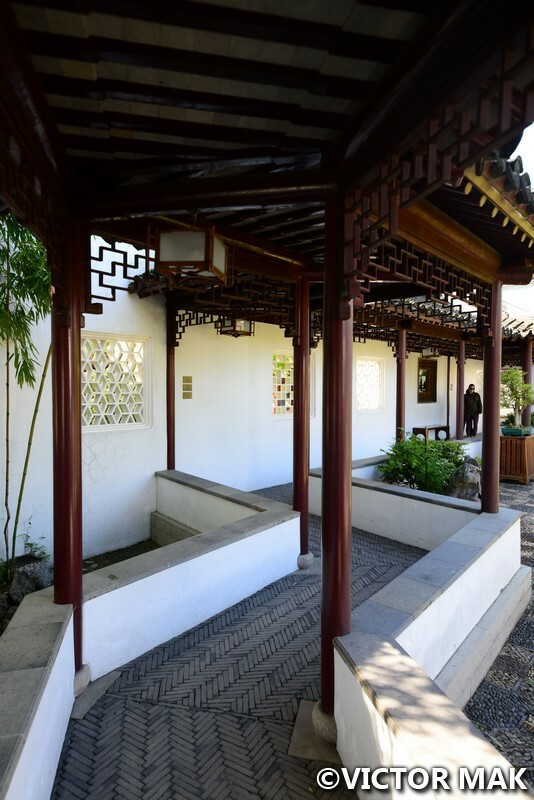 Places like the Dr. Sun Yat-Sen Classical Chinese Garden are a nice way to immerse yourself and get a light touch of history and culture. Posted on October 4, 2016 April 5, 2017 by jebusandandrea	This entry was posted in British Columbia, Canada, Gardens and tagged BC, British Columbia, Canada, Dr. Sun Yat-Sen Classical Chinese Garden, Gardens, Ming Dynasty Garden, Pacific Northwest, Photography, Travel, Vancouver, Vancouver British Columbia, Vancouver Canada, Vancouver Chinatown. Bookmark the permalink. Looks beautiful and peaceful. I have never been there. 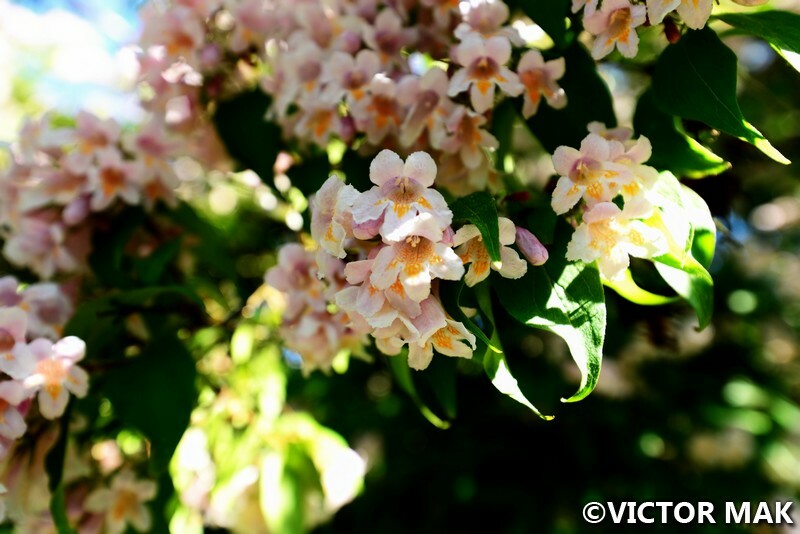 What is the name of the flower in the picture? Darn, I don’t know. We really liked this place. After we went to Gastown and ended up not eating dinner there because all we saw were BBQ places. Made us laugh. We just couldn’t eat BBQ. We love it but it feels like something we do a lot back home. But we found a great Korean place in few blocks from our hotel. Don’t remember the name. It was in West End. Thanks jebusandandrea for the dining recommendation. We will look for the Korean place in gastown. What a peaceful setting and showed so well within your photographs. Thanks! It’s a really nice place. Next time we’ll see it without all the construction. It’s kind of funny – this year whenever we saw something Chinese related something was always under construction. In July we went to Montreal and got a good laugh. Their Chinese Garden had scaffolds everywhere too. 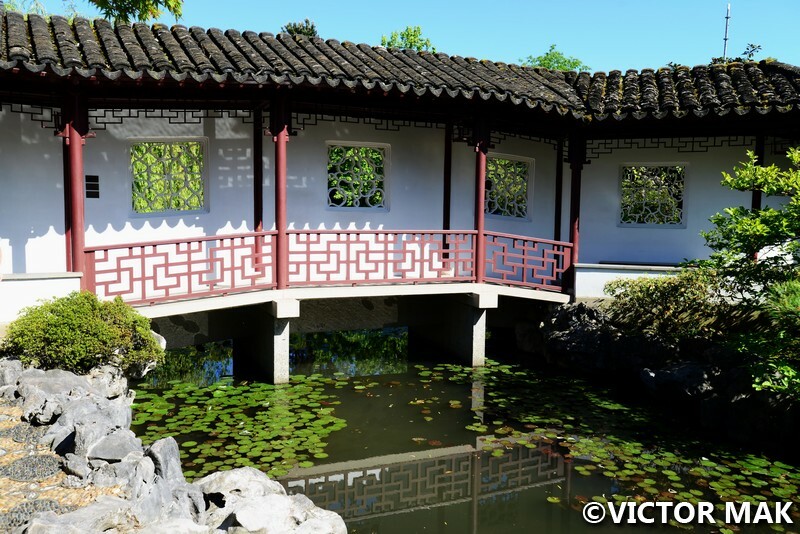 I saw the Chinese Classical Garden in Portland, OR and thought that if I was ever rich enough to build a customized house, it would look like this. I love the walkways connecting the buildings and the courtyard that focuses on the pond in the middle. I also love the traditional study with the bentwood chairs. If I had a study like this, I would sit in there and read all day and night, until it was time to walk to the sleeping quarters. 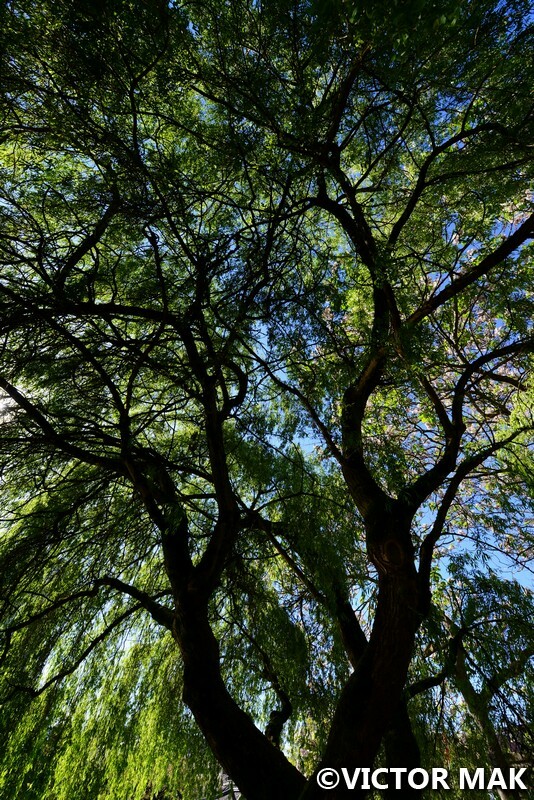 I also love the plants and trees in this garden. Did they have lotus planted in the pond as well? What a peaceful, beautiful place to sit and take a breather. I don’t know if they had lotus. I know this sounds stupid but I never thought about a Chinese Garden. I’ve always heard about Japanese ones and been to a few. Really enjoyed this place. The one in Montreal is massive too. It was under construction as well when we were there in July. It’s something to check out in Vancouver. Thats an idea. Have you ever been to Montreal. That would be a nice get away with Older Daughter and family. The flights are expensive, don’t do the bus, the train is 10 hours but pretty. Not sure if the ride is too long for the kids. Our nephews were ok but they are older. You would love Old Montreal by the waterfront and the food is awesome. You would love their cathedrals. I’m really behind in posting will get to Montreal after BC. It wasn’t that expensive, the dollar got a great rate at the time, rooms were reasonable. Loved it and didn’t think we would. We wanted to see forests again and went up to meet my French friends. Turned out to be a great city. We’ve love to live there if we could. Felt kinda like NY except French. Even my French friends thought so. This is one of my favorite places in Vancouver. Haven’t been there in several years but hope to get back there next summer or fall. It’s very beautiful. It looks like a great place to be on a fine day. Yes! Lovely place. It’s really cool when you find out no nails or bolts were used.The public garden half looks the same but bolts and screws were used there. It is interesting, isn’t it?